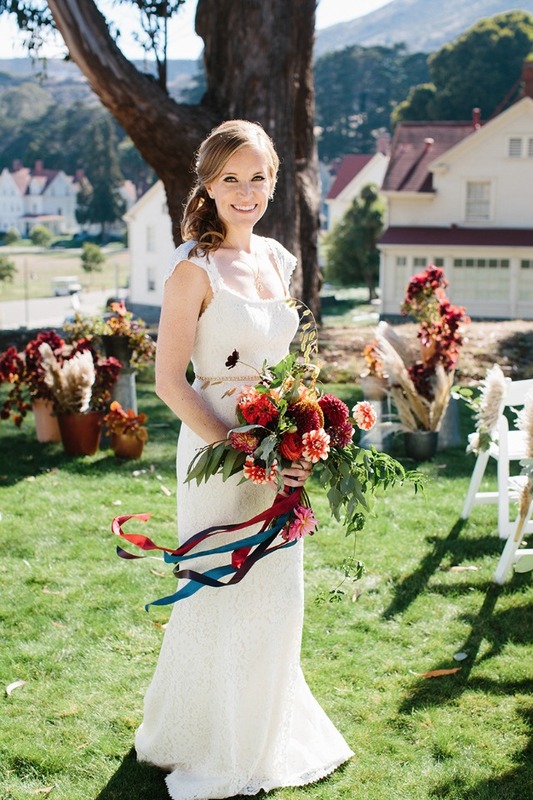 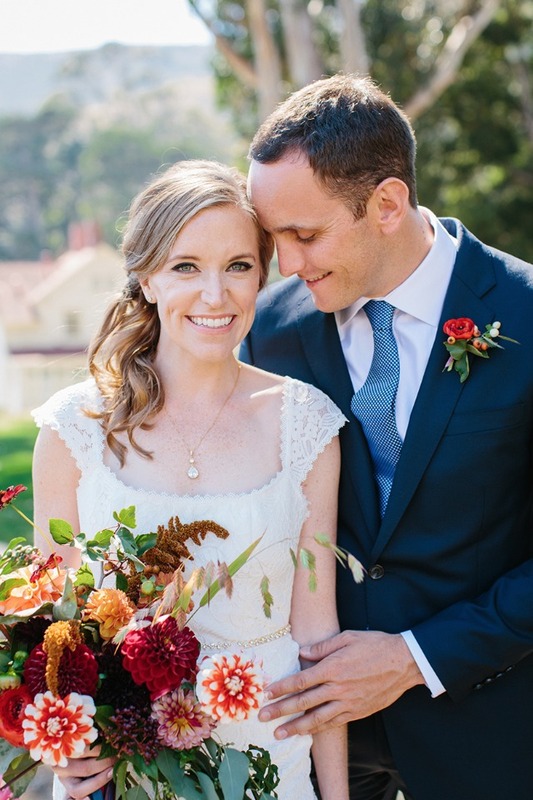 Pretty fall florals in rich colors and dramatic views of the bay area set the scene for this romantic wedding at The Lodge at the Golden Gate, Cavallo Point. 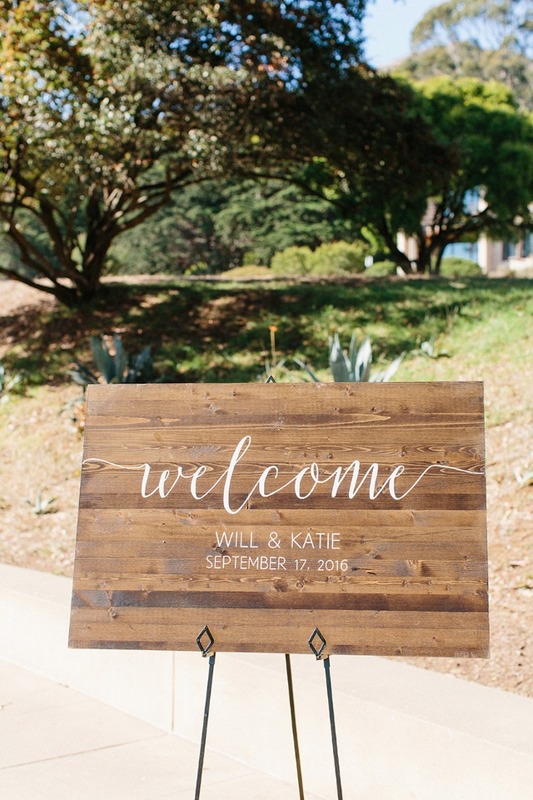 Maple wood details and custom red wine favors top off this stunning day which turned out picture perfect for the charming couple. 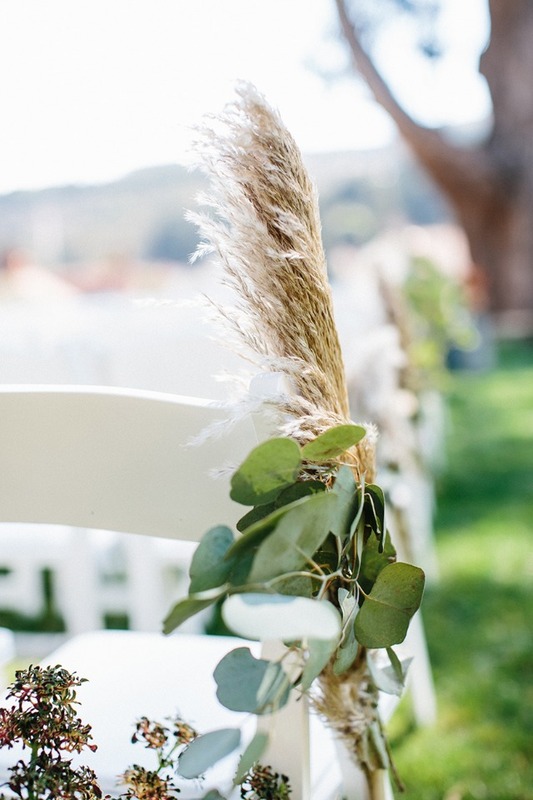 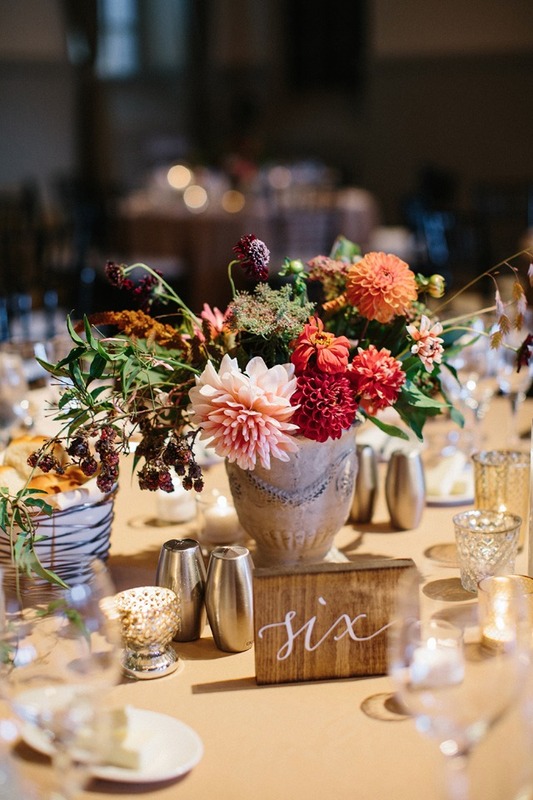 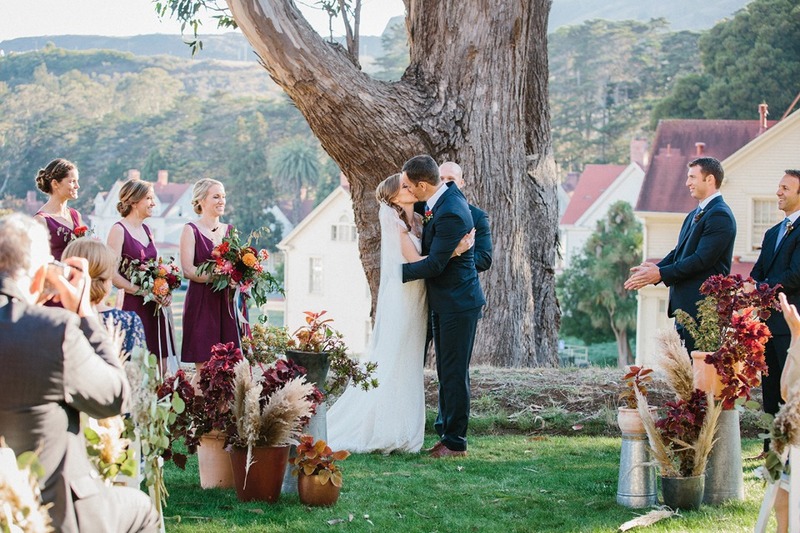 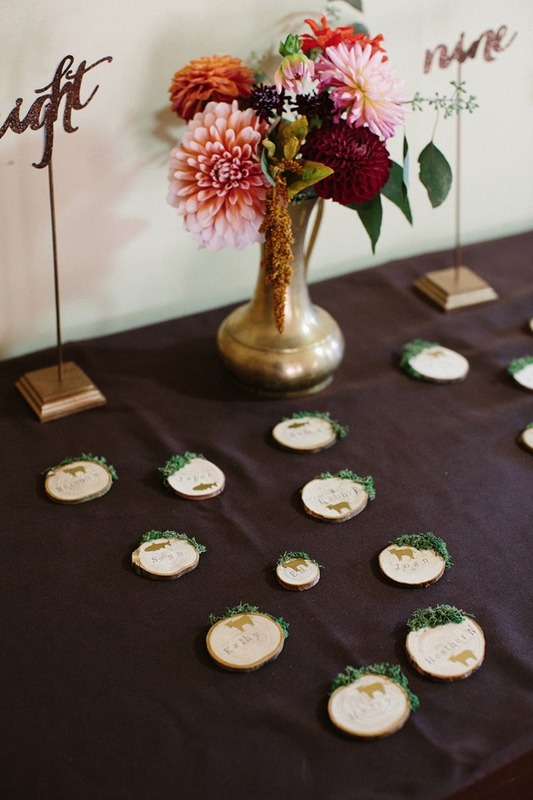 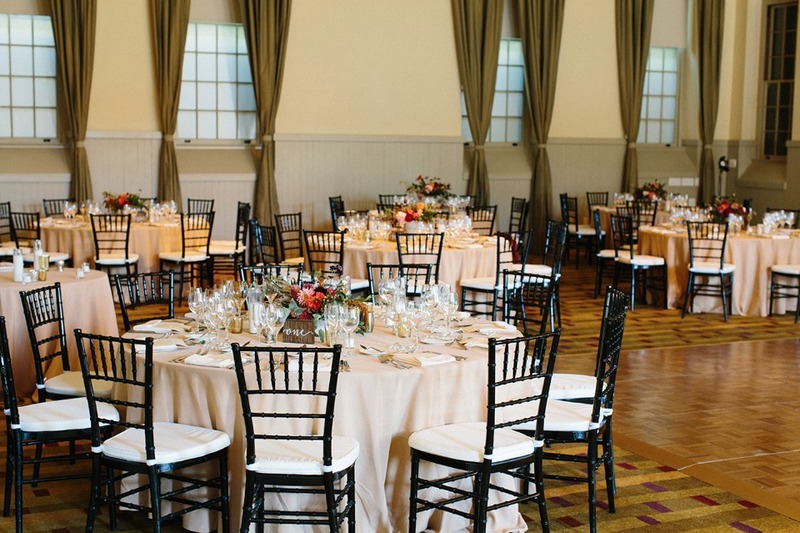 This stylish fall wedding has won our hearts with its relaxed vibe and stunning location. 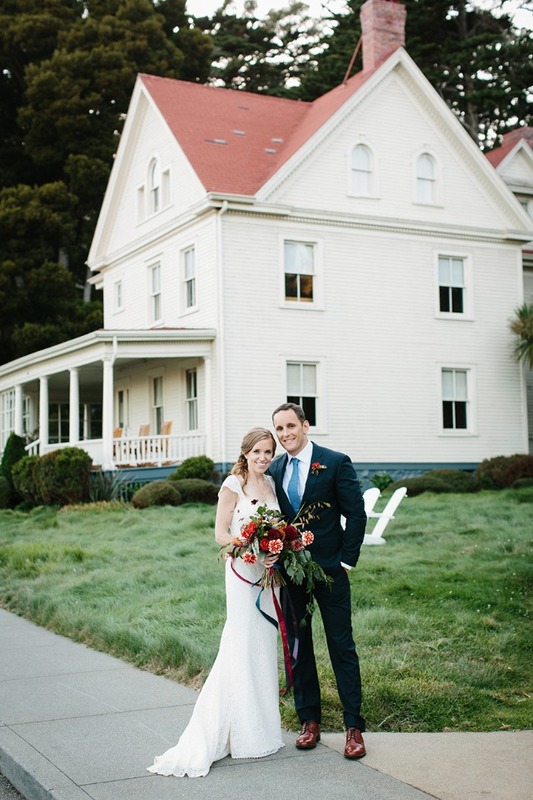 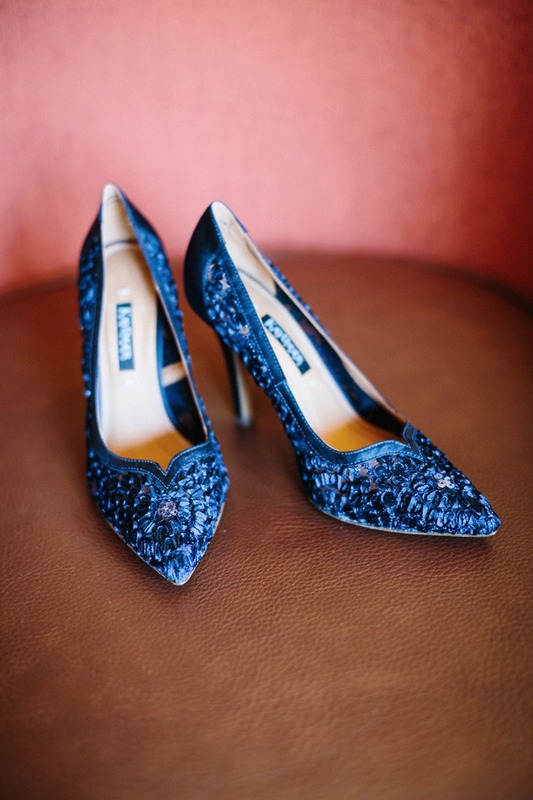 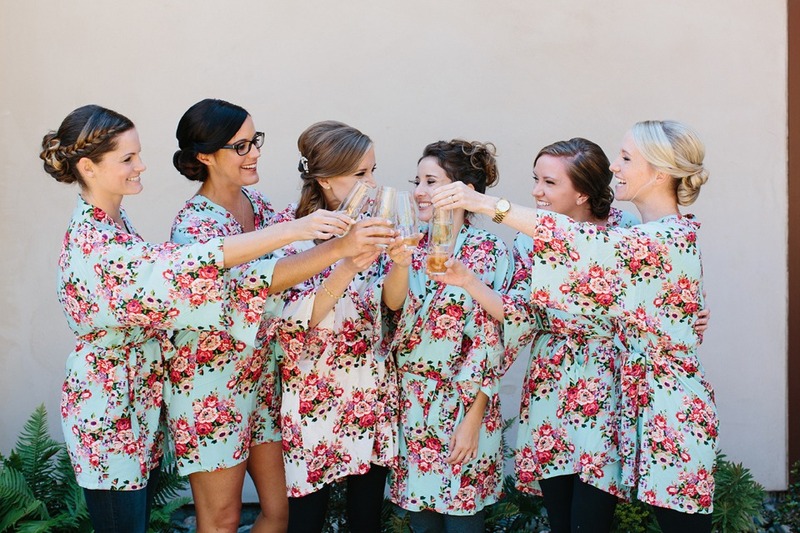 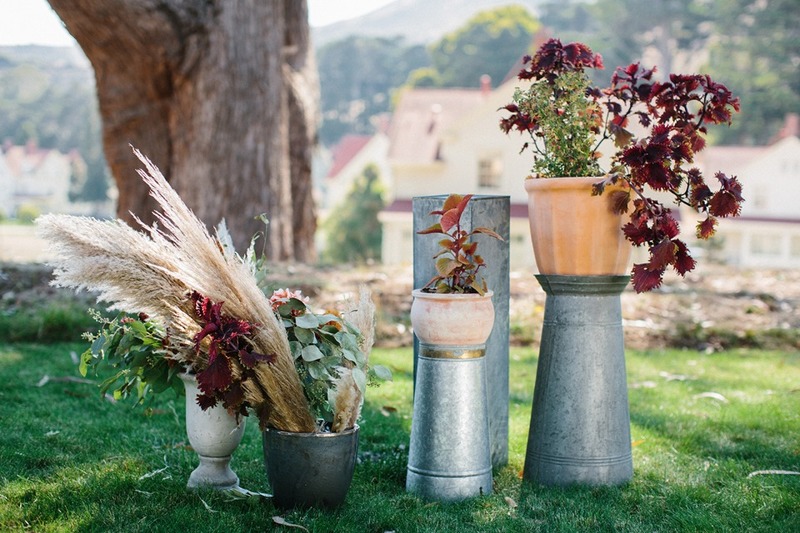 If you’re dreaming of your very own San Fransisco nuptials, then take a peek at the full gallery for more pretty images captured by Sonya Yruel. 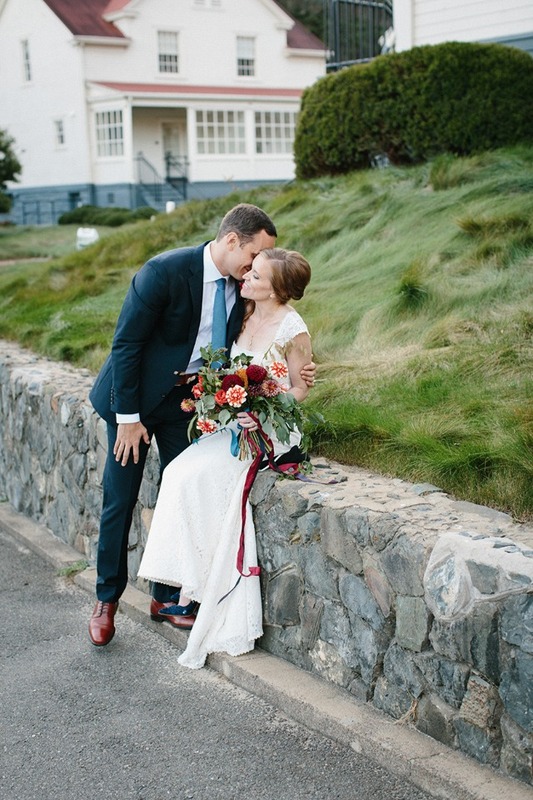 From Sonya Yruel Photography: When San Francisco couple, Katie and Will were newly engaged, the couple bought their kayaks in Marin, and took them out in the waters of the San Francisco Bay for the first time from the historic Cavallo Point. 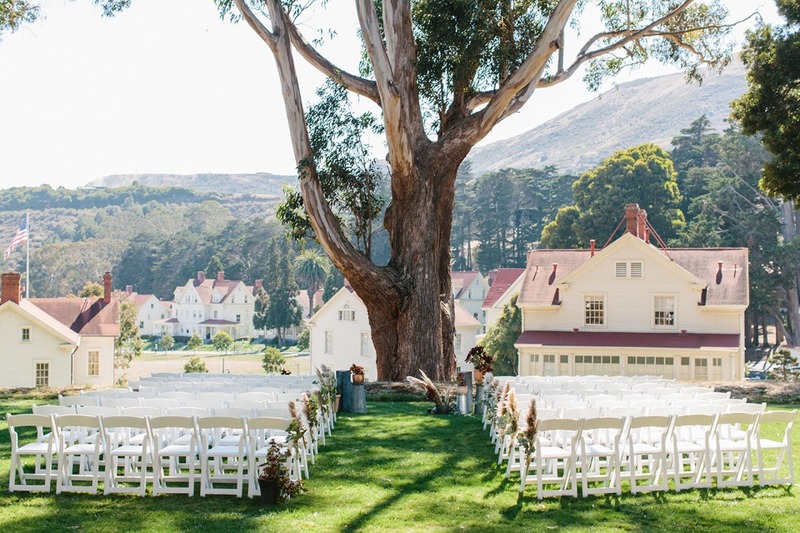 Cavallo Point sits on Fort Baker, a former army post. 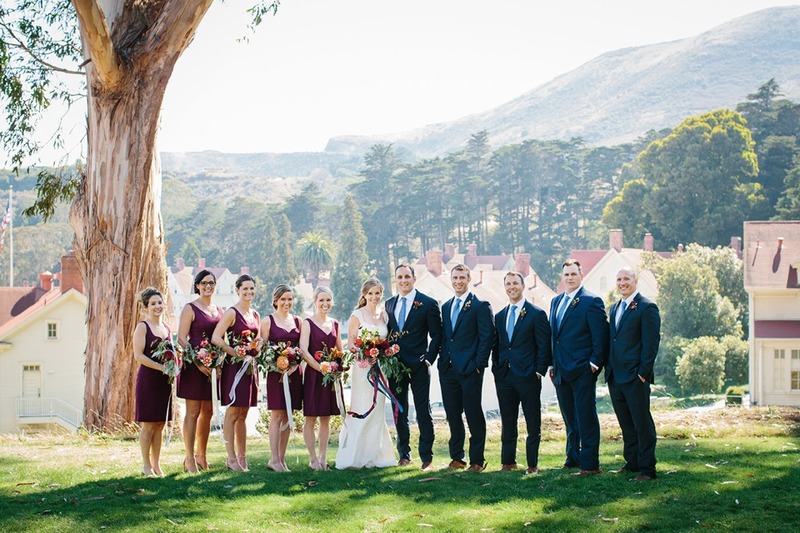 While kayaking they saw porpoises swimming nearby the Golden Gate Bridge. 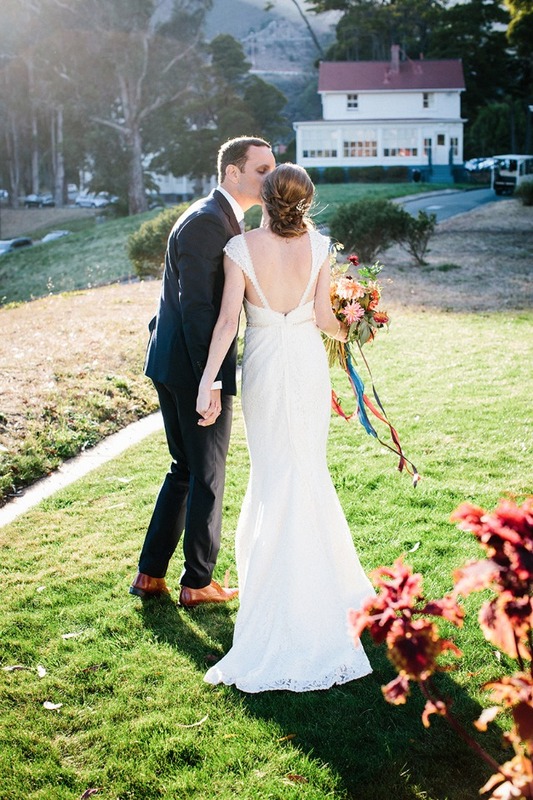 Soon after they realized that Cavallo Point was their perfect wedding venue! 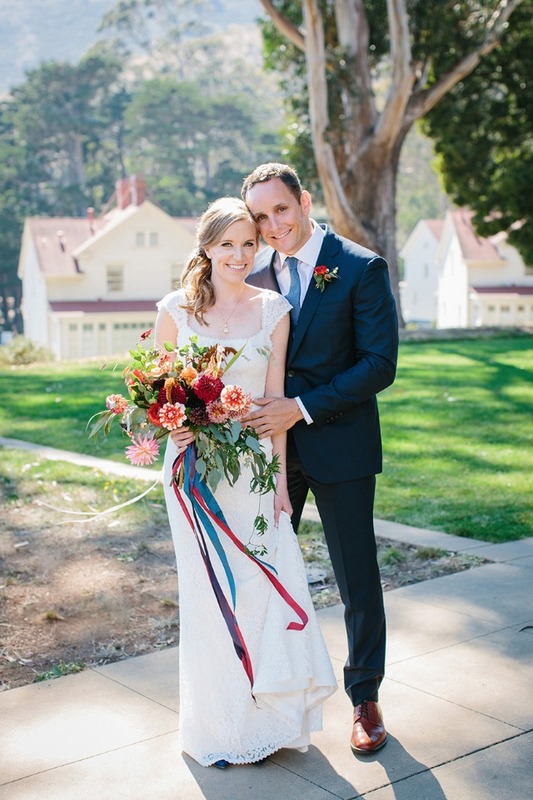 The couple's ceremony was held on the upper lawn of Cavallo Point, with views of the Bay and the Golden Gate Bridge. 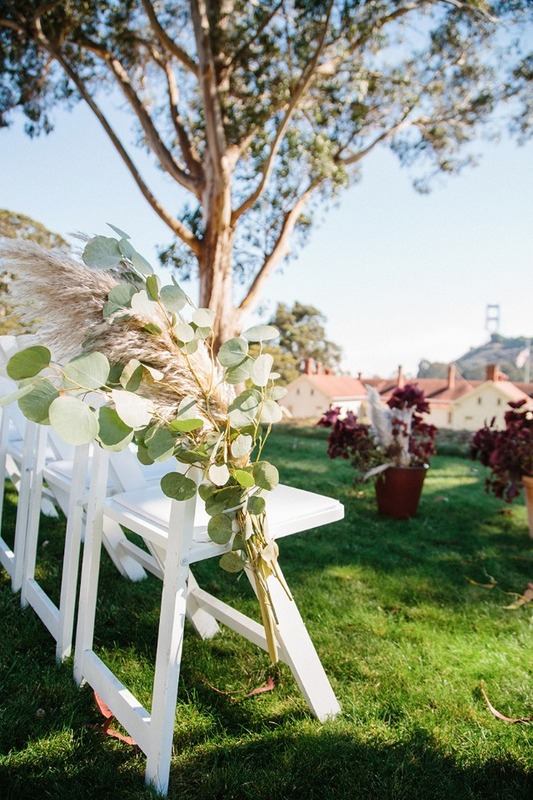 The day was sunny but San Francisco's famous "Karl the Fog" blanketed the bridge giving a classic San Francisco view. 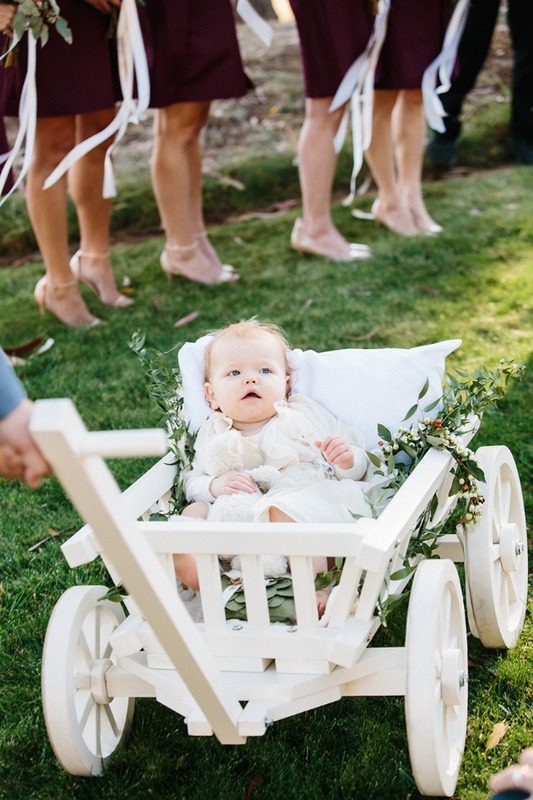 The mini wagon that pulled the bride's niece and flower girl down the aisle was adorable! 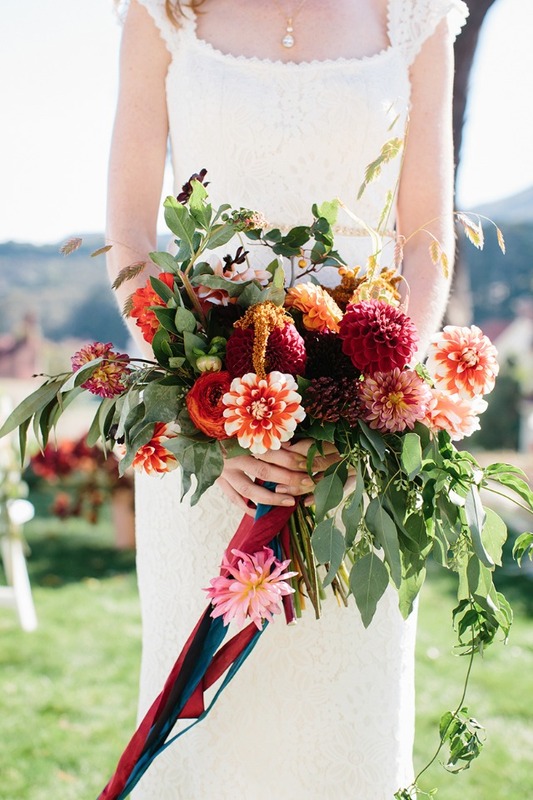 And Natasha Kolenko's rich fall florals were stunning. 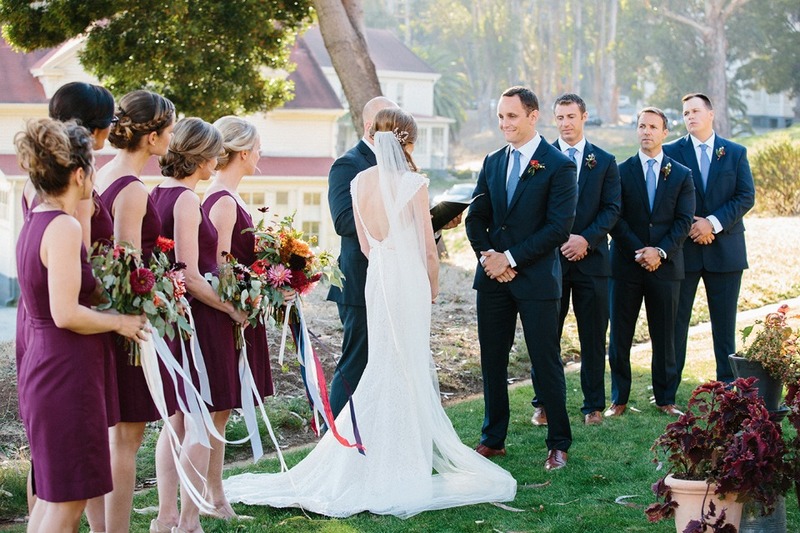 From the bride: Do your research, ask thoughtful questions & make judgements based on what values and details are important to you and your partner. 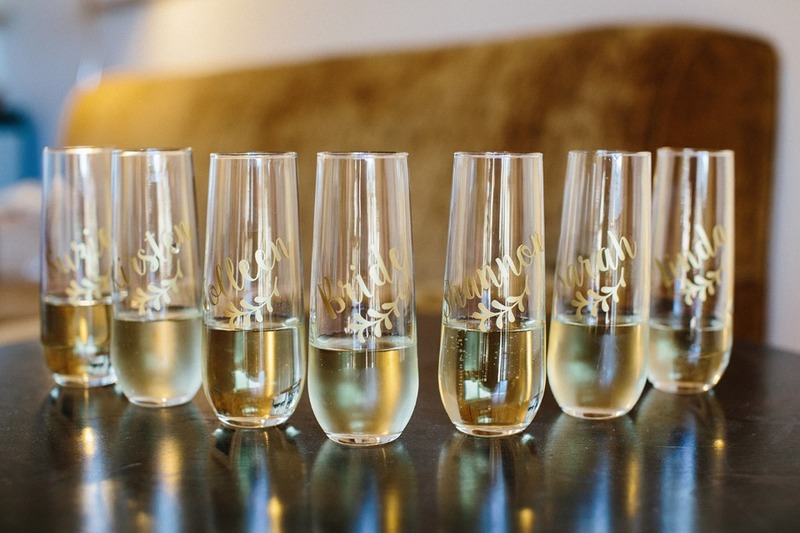 Allow yourself to have fun with the planning process! 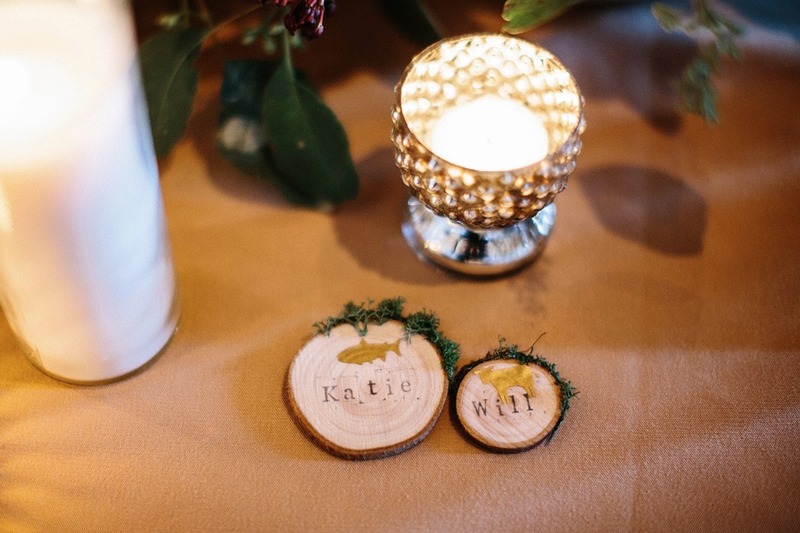 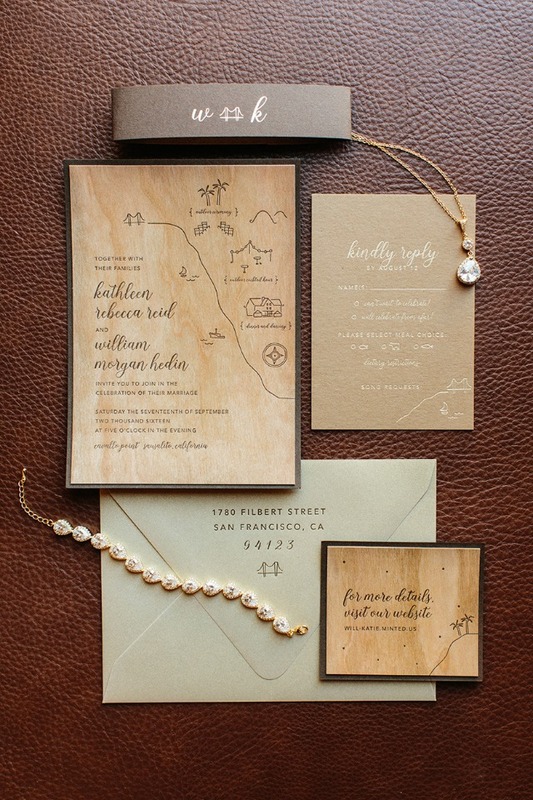 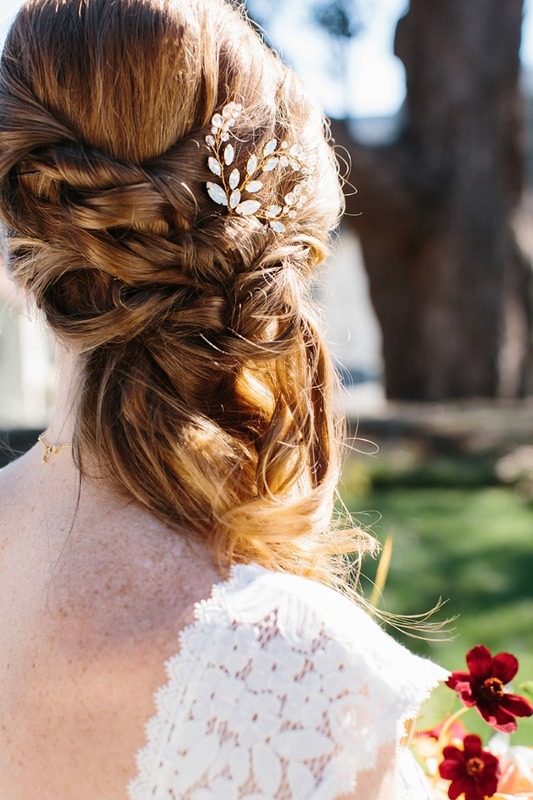 Incorporate fun details that are meaningful to the two of you. 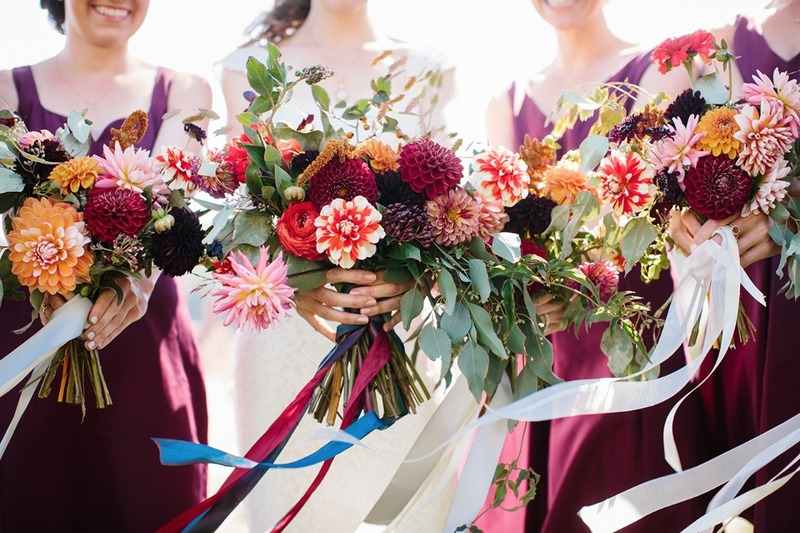 Once all is set and the day arrives, allow yourself to enjoy it to the fullest and don't lose sight of the love you and your partner share. 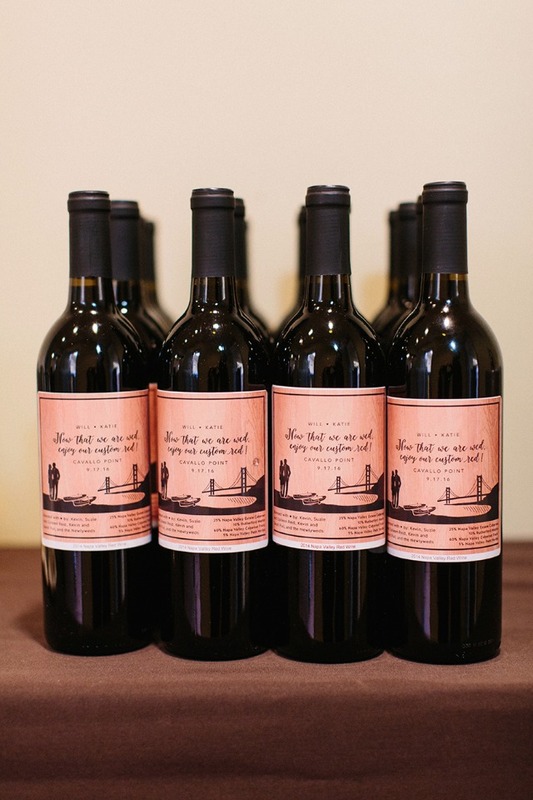 From Sonya Yruel Photography: As a special favor for their guests, Katie and Will had custom blended wine at Judd's Hill Winery. 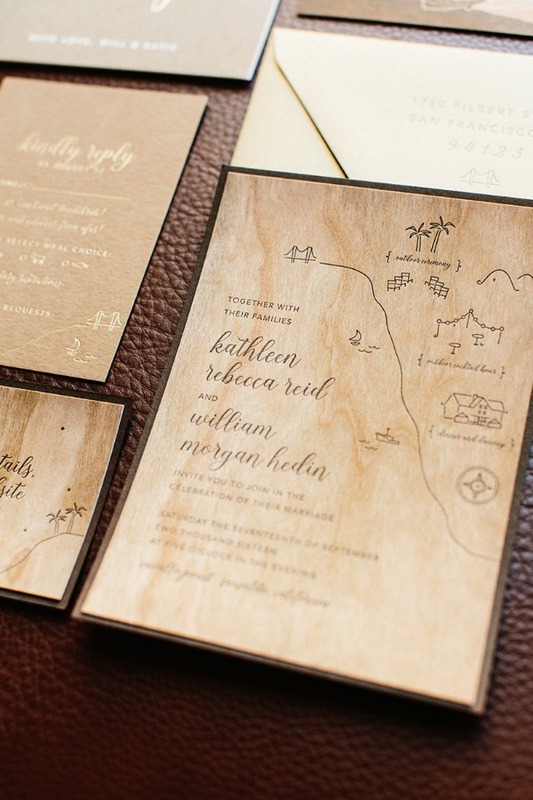 Guest favors also included chocolate treats that Will discovered in El Salvador while on a surfing trip. 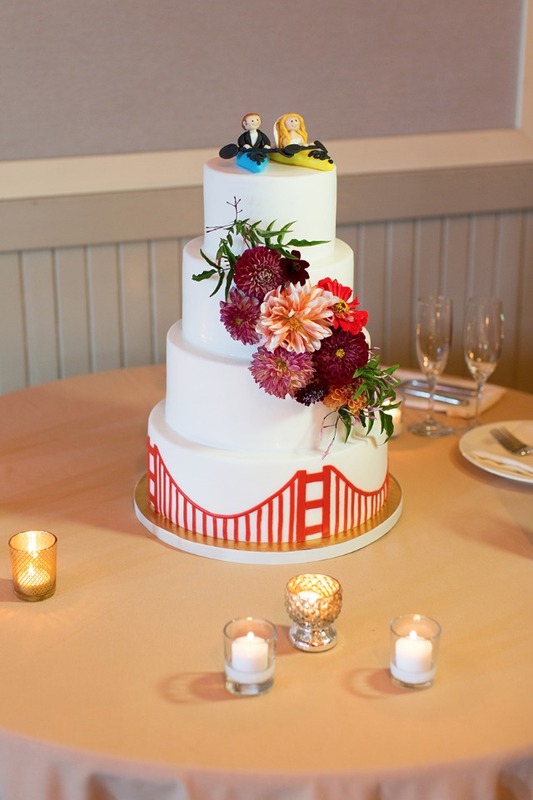 Their cake topper was an adorable miniature of the two of them with their kayaks! 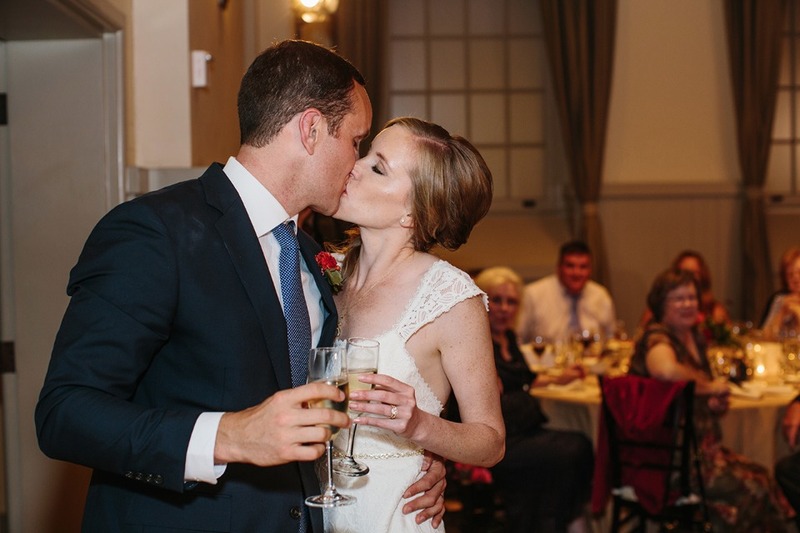 The couple was glowing the entire day and clearly SO in love. 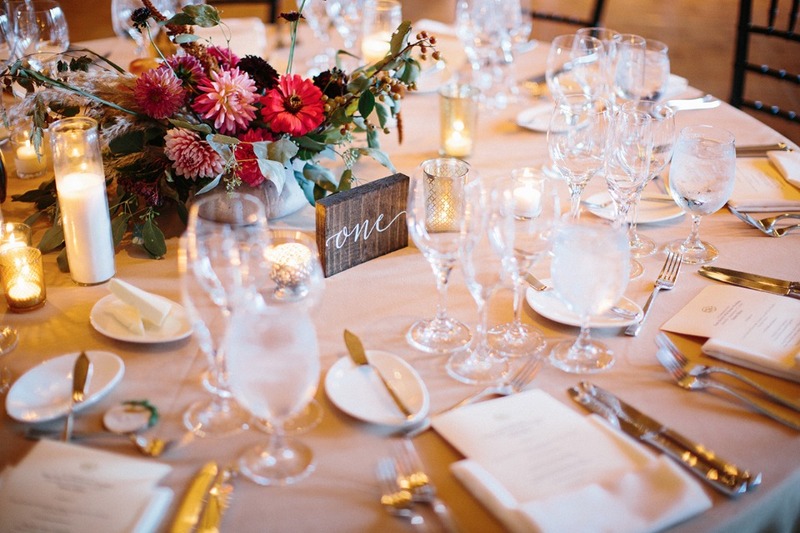 Event Planning & Design Robin Lewis of, Make it Happen!